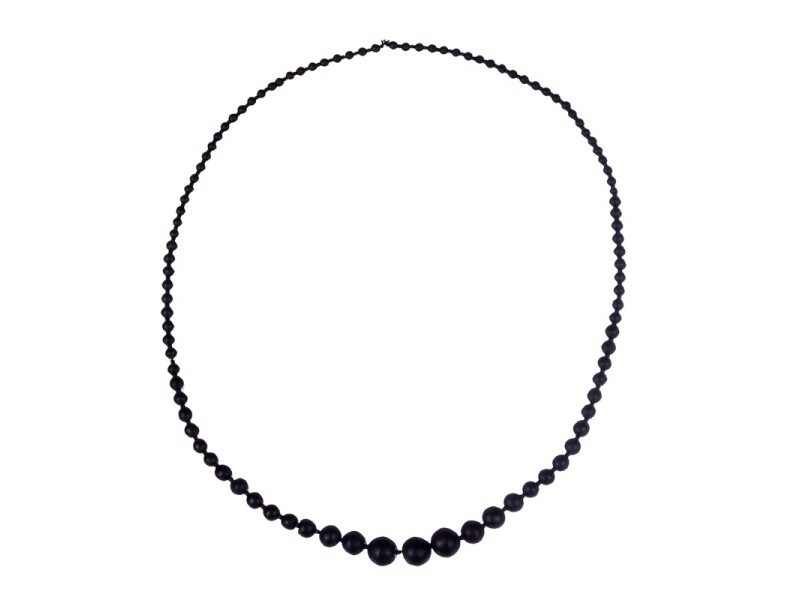 Fashionable graduated frosted jet beads on this Victorian endless necklace. 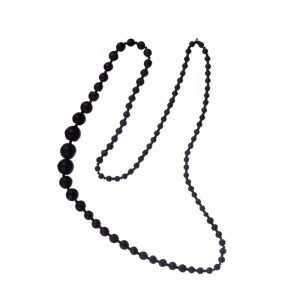 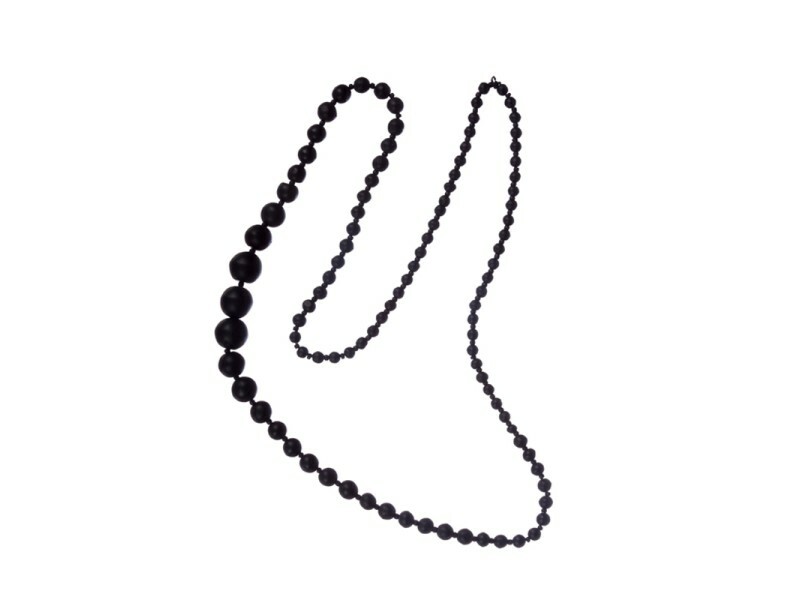 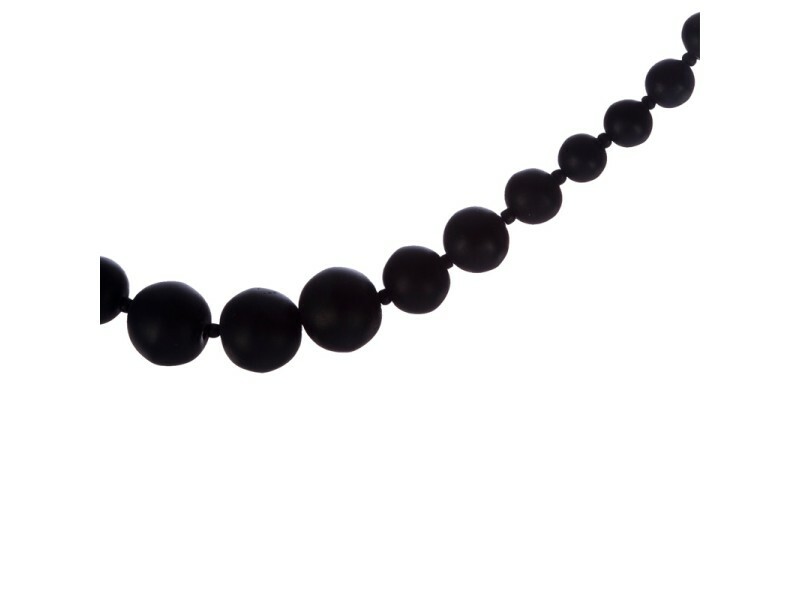 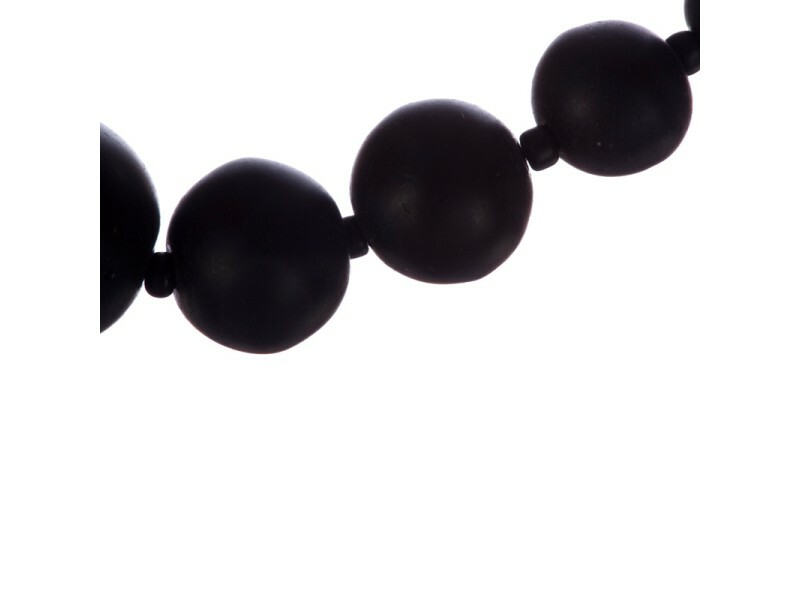 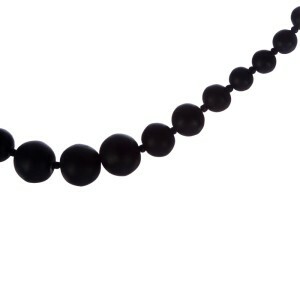 Jet beads graduate from 5 mm's to 14 mm's in diameter. 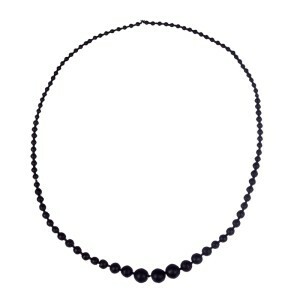 Necklace could be worn with an evening dress and also during the time of mourning.